“ I’ve been a Christian for 20 years and haven’t used the one tongue God gave me for witnessing, why seek another tongue? Tongues definitely confuse; God is not the author of confusion. The Holy Spirit is never noisy for the sake of noise. As a doctrine, God will never give you any type of gift that will make you lose your senses, go into ecstacy, fanaticism, or hysteria. 75% of the people I have met in 20 years as a Christian that fell for signs and emotionalism, were not deeply rooted in Bible doctrine. Remember, a religious movement is no better than its basic doctrines. Tongues are among the least of the gifts recorded. But, since they attract a lot of attention, they have become basic among some groups. Have you ever seen a sweeping revival of people being saved in a tongues meeting? The point is, not what language did you talk in, but did you talk for Jesus Christ and help get someone converted? In my spiritual life, I want to do the will of God, I want what Jesus wanted. Jesus didn’t want the disciples to speak in tongues; He wanted them to do Luke 19:10. “ He came to seek and to save that which was lost”. 3,000 souls were saved at Pentecost. I can’t get as excited about the tongues of Acts chapter 2 as I am about the everlasting 3,000 saved souls. A thought to ponder: Your house is on fire, you run in and gather your clothes and leave your money, jewelry, and valuables to burn. Look in religious history books for the Mountainist’s. You will find that as early as the 2nd century, these people were seeking signs, “extra-scriptural experiences”, and visions. For them and others like them the New Testament Christianity was not enough. The dictionary of sects, by John Henry, speaks of a movement in Flankers (1251) called the Pastoureaux Movement. These were the tongue talkers of the 13th century. In the 16th century, Mr. and Mrs. Tongues argued with Martin Luther. They placed their special enlightenment above the scriptures, He did not buy it. I talked with an ex-church member on the phone for 1 hour and at the end of the conversation he stated he was better than me because he had something that I did not have. I asked him what that was, and he stated that he was full of the Holy Ghost with the evidence of speaking in tongues. (A special gift) I asked him what he said to God in tongues and he stated he did not know. Pagan Greece had tongues speakers in the Delphian Shrine. These utterances came from their chief priestess, Pythia. The Princess of Dionysus in Greek Mythology also spake in tongues during special sessions. She would mess up her hair and go into frenzied shouts of praise to their idol. The Greek version of a spirit filling was called – entheoi – meaning, being filled with the spirit of that deity. In 1988 or there about I watched Jimmy Swaggart preaching in a foreign country with an interpreter at his side and during the preaching he spoke in tongues an all the interpreter could say was glory, glory, glory. If that was the truth why didn’t Swaggart just say that. Something phoney here. Clesus, the Greek historian, said of these happenings, “both inside and outside the heathen sanctuaries people uttered unknown, unintelligible speech. The dervishes of Persia, worshipers in Mohammedanism, spake in tongues. They repeatedly uttered the name Allah, accompanied by violent motions of the body till they worked themselves into a frenzy and fall off into a trance foaming at the mouth.” The “howling Dervishes” howled, and the “whirling Dervishes” spun themselves into ecstacy. Isa 28:11 (KJV) “For with stammering lips and another tongue will he speak to this people.” This prophecy was given before the Babylonian Captivity which was the first of two dispersions administered to the Southern Kingdom. The words “stammering lips” in Hebrew, actually mean guttural or staccato language of many of the people who surrounded Israel. This prophecy refers to a discipline placed on the Jews which will result in their evangelization by Gentile languages. This is happening today. People who crave “experiences” are not Biblical. We should be led by the Word of God. Mat 4:4 (KJV) “But he answered and said, It is written, Man shall not live by bread alone, but by every word that proceedeth out of the mouth of God.” Also Isa 28:10 (KJV) “For precept must be upon precept, precept upon precept; line upon line, line upon line; here a little, and there a little:” (“precept” means principle, the Word of God inside a Christian is the basic guide. Doctrine (which means teachings of the Bible) not emotionalism should rule the believer. Is the fruit of the Spirit a split Church, confused Christian, scared preacher who longs to move to another church, or a dogmatic tongues teacher? No!, No!, a thousand times No. In Galatians 5:22 & 23 tongues are omitted as one of the fruits of the Spirit. And self control is there bright and shining. Speaking in tongues is not mentioned in 3 gospels, nor in any of Paul’s 13 epistles, except one, nor in the writings of Peter, James, John, or Jude, nor in Hebrews, or the book of Revelation. The book of Philippians is the joy Epistle to Christians. There is no word about rejoicing in tongues, no not one jot in the entire book. Did Paul the Apostle goof? 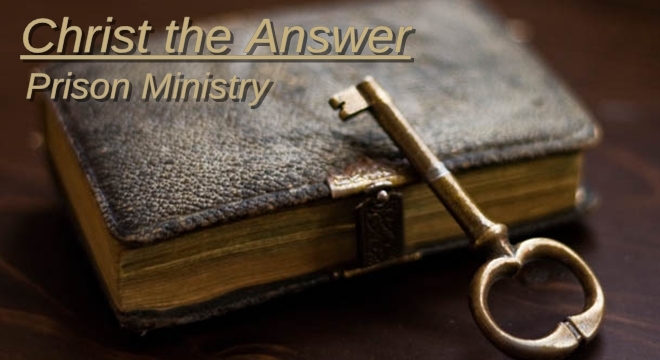 1 Cor 12:1 (KJV) “Now concerning spiritual gifts, brethren, I would not have you ignorant.” Paul wrote to the “tongue talkers”, to help them get rid of their ignorance. In Acts, the speaking of the languages caused no problem, but the ecstatic languages of the Corinthians did create problems. A careful study of I Corinthians chapters 12, 13, and 14 will clear up all doubts for clear thinkers. 1100- Glossa (gloce-sah’); of uncertain affinity; the tongue; by implication, a language (specially, one naturally un-acquired): KJV– tongue. I want you to notice the word tongues. Tongues means foreign languages, (in the Bible) never an unknown language. When the Bible was translated in 1611, tongues meant languages and the word “unknown “ is in italics which means it is not of the original text. I personally believe God can do anything but fail or sin. I prefer a baptism of love by the Holy Spirit rather than one of tongues.